You may have noticed from my Instagram account that I recently took a trip to Cologne, Germany. I’d be lying if I said that the idea of this trip didn’t come about because of a castle… we all know how much I love castles! 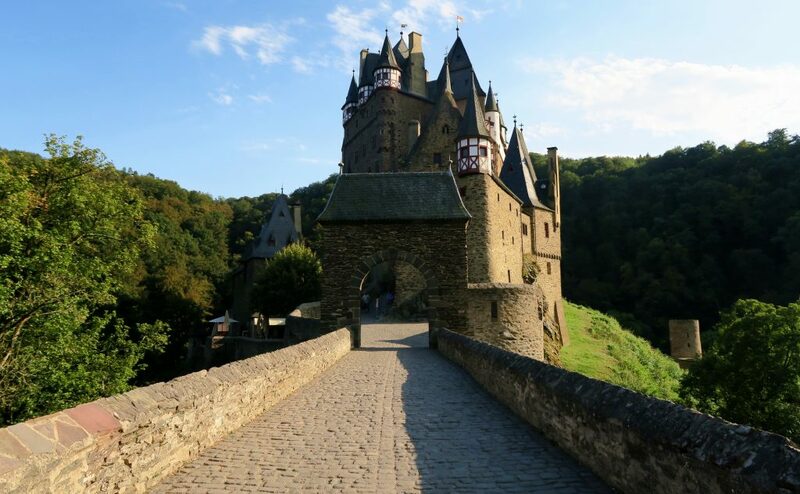 Burg Eltz first came onto my radar through the amazing Jacob’s Instagram account. A few of my favourite shots of the castle taken by him are here, here and here. After seeing those pictures, I made it my mission to convince my boyfriend that a trip to Cologne was necessary and I succeeded, mwahahaha! After a very slow start to our second day in Cologne (apparently we walked a little bit too far the day beforehand and then struggled to get out of bed… after one day in stupid footwear, I already had blisters #rookie), we set off to the nearest train station in search of my beloved castle! You can get the train from Köln Central Station, but we opted to begin our journey at Köln Süd which was only an 8 minute walk from our hotel and is on route (perfect!). 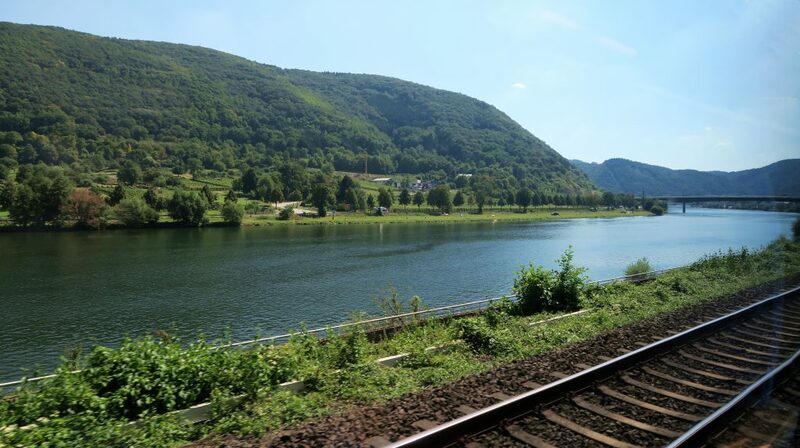 The journey from Köln Süd to Koblenz takes about 1 hour and 20 minutes, you’ll then be faced with a 20 to 30 minute wait at Koblenz station (snack time, duh) before jumping on a train to Moselkern for around 30 minutes. 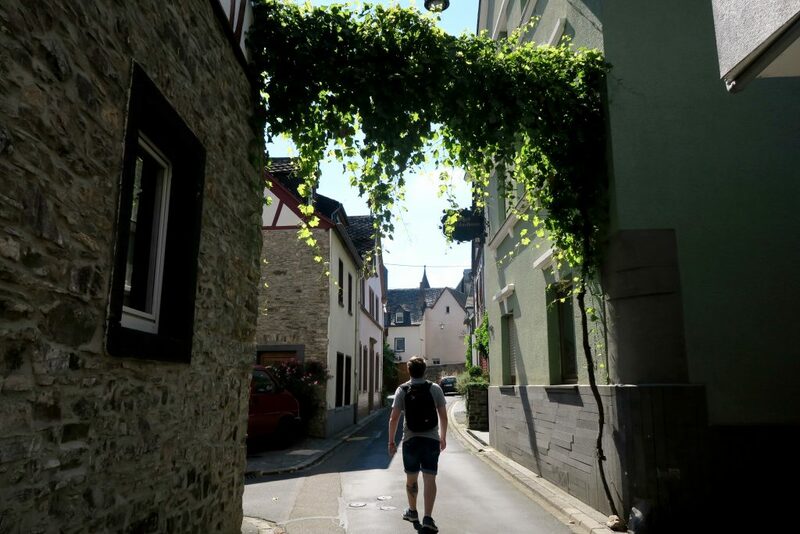 I probably should have started this story by saying that this region of Germany was experiencing a freak heat-wave and it was 35 degrees for the majority of our journey. THIRTY-FIVE BLOODY DEGREES. So I’m praising the lord (and I’m not even religious) that German trains have fab air-conditioning because our train to Koblenz was delayed by an hour! After arriving in Moselkern an hour later than expected, and it being midday at this point (thus even hotter), the fun began! 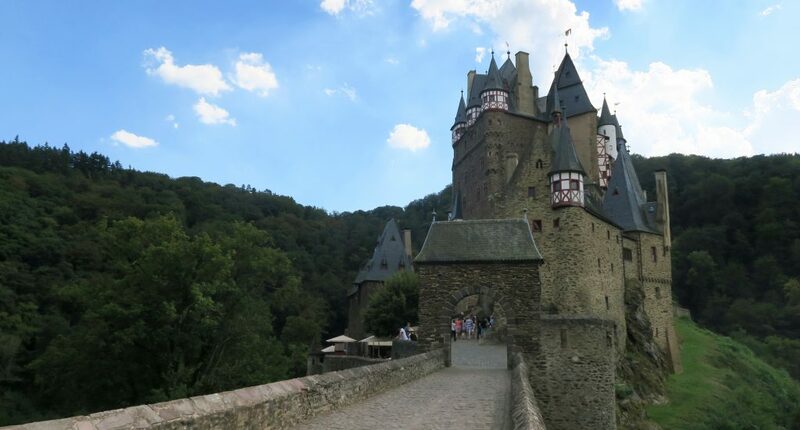 Luckily, the 90 minute hike is very well sign-posted as big wooden arrows engraved with the words “Burg Eltz” line the path (just don’t worry as much as I did. I think I got a bit annoying constantly screeching “WE HAVEN’T SEEN A SIGN IN A WHILE” when the only option was to keep going forwards since the last sign… Soz Callum, castles and heat make me cray cray). The hike starts in the town of Moselkern which is really charming, even the train station is a cute building. The walk from the town centre to the edge of the woods was the hardest part in the intense heat as there was zero shade. Once you get to the woods, things get easier in the heat (although it does start getting steeper) and it gets pretty damn beautiful! 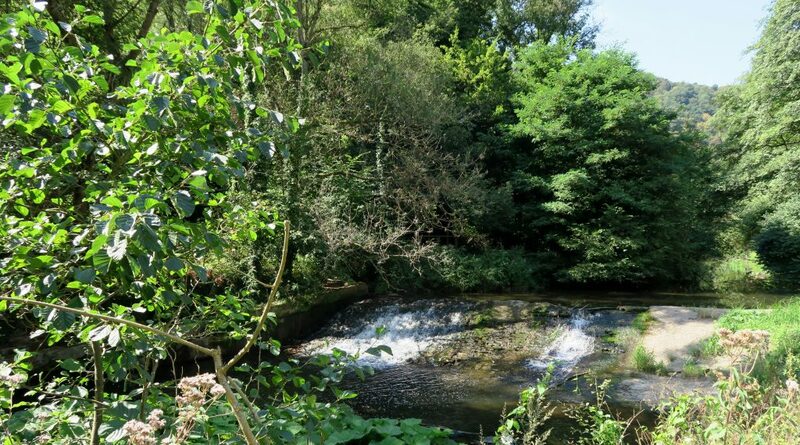 My favourite spot was by the stream just before you start the uphill accent, we sat here for a while, escaping the direct sunlight and attempting (read: failing) to skim stones on the water. Then BAMN, you catch sight of the castle and suddenly the hiking, the blisters and the potential sun stroke all feel worth it! Well… We first decided to get drinks, sit in the cafe and sweat profusely for a while. After acclimatising, we headed straight into the main gift shop area to get our tickets into the castle (with much excitement). You can’t always guarantee when the next English-speaking tour will be taking place. It appears that they only take place if there is enough interest for them, we were lucky that even though we arrived late, there were enough people wanting an English Tour. The tour was informative and took us through some lovely parts of the inside of the castle (unfortunately, no photos are allowed). The castle remains in it’s natural state, it hasn’t ever been destroyed and the same family have always owned the castle – perfect! The only downside is that the tour is a bit short, I would have loved to see a bit more inside the castle! Afterwards, we took our time exploring the grounds and capturing some photos – the location and castle couldn’t be more picture perfect. And then it was time for the journey home! The 90 minute hike in slightly cooler temperatures and going downhill was much easier and luckily there were no train delays. All in all, through the sweat and blisters, it was actually a really perfect day. 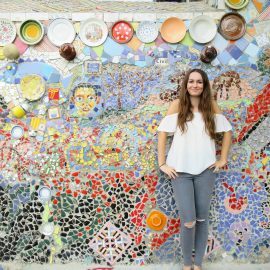 I finally got to visit the castle of my Instagram dreams! Have you ever visited? Do you recommend any other “off-the-beaten track” castles? 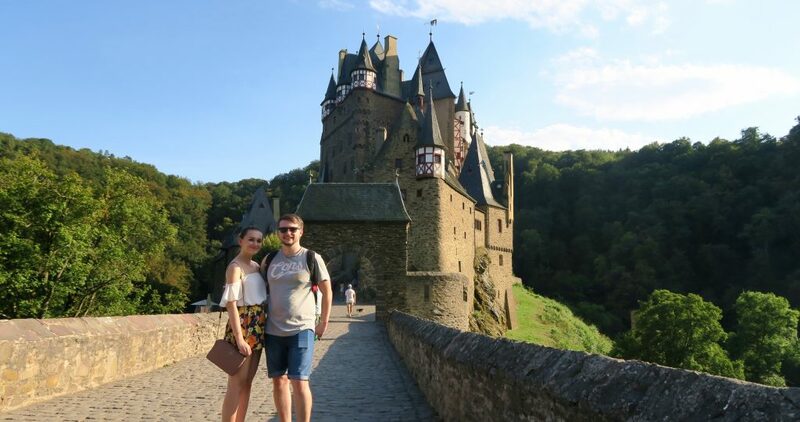 How long do you think we should plan to visit Eltz castle? 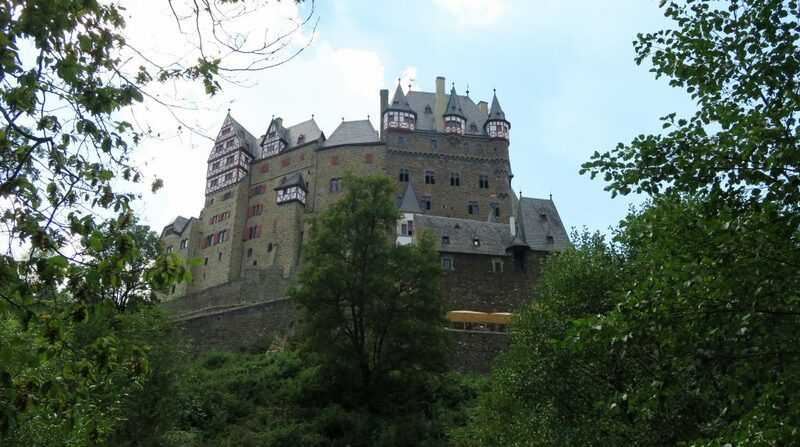 Because… Actually there is anoter nice castle not too far from it and I wanted to know if I could do both in the same day hehe, thanks!